For a franchise that has picked fairly high throughout its history, the Winnipeg Jets don't have a lot to show for those picks. They've made the playoffs once since entering the NHL as the Atlanta Thrashers in 1999, and none of their first-round picks prior to 2006 are with the team. But the past two drafts have brought promising young players who figure to have prominent roles in Winnipeg in the not-too-distant future. 1. Mark Scheifele, C: The Jets' first pick (No. 7) in the 2011 NHL Draft showed enough to start last season in the League and even scored a goal during his seven-game stay before being returned to his junior team, the Barrie Colts of the Ontario Hockey League, where he put up 63 points in 47 games. He also was part of Team Canada at the World Junior Championship and joined the Jets' American Hockey League team in St. John's for playoff action after his junior season concluded. He'll have to add muscle to earn more than another cameo with the Jets this season, but they like his playmaking skills and vision. Scheifele may have to go back to junior hockey for another year, but he has the skill to be a first-line center. 2. Jacob Trouba, D: A first-round pick (No. 9) in June, Trouba is a big, mobile defender who can play in all situations -- the kind of player teams are increasingly desperate to find. He has the speed to stay with fast forwards and is physical enough to play the body. He has decent hands and moves the puck well. Trouba also has a history of success, helping the United States Under-18 team to a gold medal and playing a regular role as a 17-year-old at the world juniors. Trouba has said he intends to honor his commitment to the University of Michigan; the Jets would probably prefer he turn pro sooner rather than playing a couple of years in college. 3. Ivan Telegin, C: The 20-year-old Russian, a fourth-round pick in 2010 when the franchise was based in Atlanta, has some room to grow (he's 6-foot-4 but 185 pounds). He does appears to be ready for the pros after putting up 35 goals and 64 points in 46 games with Saginaw of the OHL. He's an above-average skater with good puck skills, hands and vision. He improved his consistency last season and has the creativity to be a top-six forward. 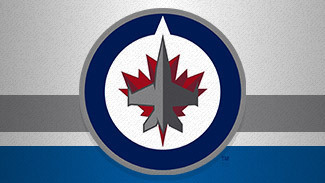 The Winnipeg Jets hope the addition of a couple big bodies up front and the development of their top young players will help the franchise improve in the second year in Manitoba. 4. Paul Postma, D: There's no question Postma has the offensive chops to play in the NHL -- he had 13 goals and 44 points for St. John and has scored at least 12 goals in all three of his AHL seasons. It's his play in his own zone that will hold him back. The 2007 seventh-round pick has excellent hands and a big shot; he's also started to fill out physically (6-3, 195). The Jets signed him to a one-year deal this summer; at 23, he could be reaching a career crossroads. 5. Patrice Cormier, C: Cormier, a 2008 second-round pick acquired from the New Jersey Devils in the Ilya Kovalchuk trade two years ago, is a big checker (215 pounds) whose game should translate to the next level. His hands are OK and he can make some plays, though he's never going to be a big scorer. He has the versatility to play anywhere up front but will have to work on his skating to be anything more than a good role player. 6. Carl Klingberg, LW: At 21, the Swedish second-rounder from 2009 had 15 goals and 37 points for St. John's after a fast start, though a late-season slide showed he still needs time to adapt to the North American style of play. He has the speed to get in on the forecheck but needs to add strength. He dressed for 12 postseason games with the IceCaps and showed good chemistry with Scheifele, though he scored just one goal. 7. Zach Redmond, D: Redmond's first pro season wasn't bad -- the 2008 seventh-round pick put up eight goals and 31 points for St. John's after spending four years at Ferris State. He's mobile, tends to make good decisions with the puck, and appears to have better command of his own zone than Postma, his biggest rival for playing time among defense prospects. He won't be a star but can be a contributor. 8. Spencer Machacek, RW: Machacek is coming off an 18-goal, 50-point season with St. John's that might have been better had he not gotten a 13-game call-up from the Jets, for whom he had two goals and seven assists. The third-round pick from 2007 has drawn praise for his "never quit" attitude and defensive skills, though he doesn't appear to have the offensive upside to be more than a third-line player. 9. Lukas Sutter, C: Every team needs a good pest, and the second-rounder from the 2012 draft may be able to fill the bill. Sutter was among the most improved players in this draft, graduating to a role on the shutdown line for Saskatoon of the Western Hockey League while putting up 28 goals and 59 points in 70 games. He'll go back to juniors in the fall. 10. Julien Melchiori, D: At 6-4, 217 pounds, the third-rounder from 2010 has more than enough size to play in the NHL. He's an excellent skater for his size, moves the puck well, and has gotten stronger. He may not have a lot of offensive upside, but has the potential to be a good third-pair defender. He should start his pro career in St. John's this season.